It’s “clean” energy but when it goes wrong, it goes very wrong. The Union of Concerned Scientists (UCS) makes a case for treating nuclear as a transition power source until wind and solar and other renewable sources expand the capacity to replace fossil fuels and nuclear. See “The Nuclear Power Dilemma: Declining Profits, Plant Closures, and the Threat of Rising Carbon Emissions (2018)” in the Commentary section of the current issue of irish environment. While not entirely clear in its report, UCS seems to limit the proposed favorable treatment (e.g., continued significant subsidies) to existing but not new nuclear plants. The rationale is that we desperately need to reduce carbon emissions, and when nuclear plants are retired or shut down, they are replaced with natural gas or coal plants. As a result, carbon emissions rise substantially, or fall much slower. The easy answer against prolonging nuclear is to not allow coal or gas plants to be built as replacements. Of course to the extent that this could or would create a shortage of power, neither politicians nor the public would likely approve. While emissions from nuclear plants are clean, the mining and production of raw materials and the disposal of nuclear waste remain deeply problematical. As does the extensiveness of the subsidies to cover liability for nuclear accidents at such plants. The UCS report covers safety of nuclear, but largely to argue that only nuclear plants with strong safety records should qualify for continued financial support and extended life span. There is no assessment of the risks of significant releases of radioactive materials, and the costs of damages and losses that occur with such releases. The nature and extent of those risks and losses need to be factored into any discussion on extending the life of nuclear plants. Some may suggest that a significant nuclear accident is unlikely, and therefore worth the gamble of keeping nuclear plants open. Yet in the past 62 years there have been five major environmental disasters at nuclear facilities: Kazakhstan, region of Soviet Union (1956, unreported but discovered recently); Windscale, UK (1957); Three Mile Island, US (1979); Chernobyl, Ukraine (1986) and Fukushima, Japan (2011). So about every 12 years there has been a significant release of radioactive materials from a nuclear facility. And we have seen that even plants with reasonable safety records have been subject to these disastrous releases. The impact from these disasters have been horrendous at times. 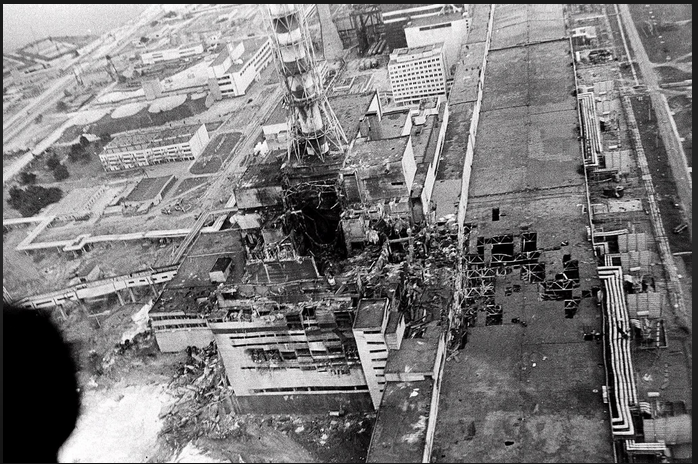 Nuclear clouds from Chernobyl drifted across and terrified much of Europe, exposing 400,00 million to radioactive materials. Radioactive releases destroyed the habitats for reindeer in Lapland, Finland, and sheep in northern Scotland. A large number of young children contracted thyroid cancer from Chernobyl’s releases. The childrens’ surgical scars around their necks have become known as the “Chernobyl necklace.” The costs of Chernobyl have amounted to hundreds of billions of dollars, and are still draining the budgets of Belarus and Ukraine to support the victims. 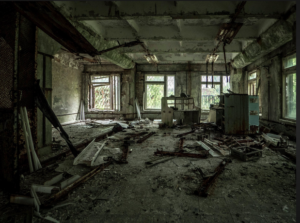 An area around Chernobyl is called the Exclusion or Dead Zone, originally about 30 km but now extending about 1,000 km. For all practical purposes it is lost for human use for thousands of years. The UCS report characterizes what happened at Fukushima as an “extreme natural disaster.” In “Evaluating Reactor Safety Performance,” the UCS report mentions in passing that Fukushima “released large amounts of radioactive material into the air and water, requiring more than160,000 people to leave their homes and causing an estimated $200 billion worth of damage to the economy. Moreover, the accident led to the shutdown of the entire Japanese nuclear power sector for years, and it is unlikely to fully recover.” At 22. See, also, Radiation Survey in Fukushima Prefecture – Greenpeace (August 2018) in the Podcast section of the current (December 2018) issue of irish environment magazine. The report also notes that the US Nuclear Regulatory Council refused to adopt enhanced safety measures at US plants that were implemented at French and Japanese plants found to be necessary as result of the disaster at Fukushima. At 23. Such conduct does not provide much in the way of assurance that nuclear power plants are adhering to the most stringent safety standards. In the meantime, let’s push for wind and solar to keep on expanding as fast as possible. The Nuclear Power Dilemma; Declining Profits, Plant Closures, and the Threat of Rising Carbon Emissions )” in the Commentary section of the current issue of irish environment. Robert Emmet Hernan, This Borrowed Earth: Lessons from the 15 Worst Environmental Disasters Around the World (published in English in February 2010 by PalgraveMacmillan, and in Chinese in December 2011 by China Machine Press).